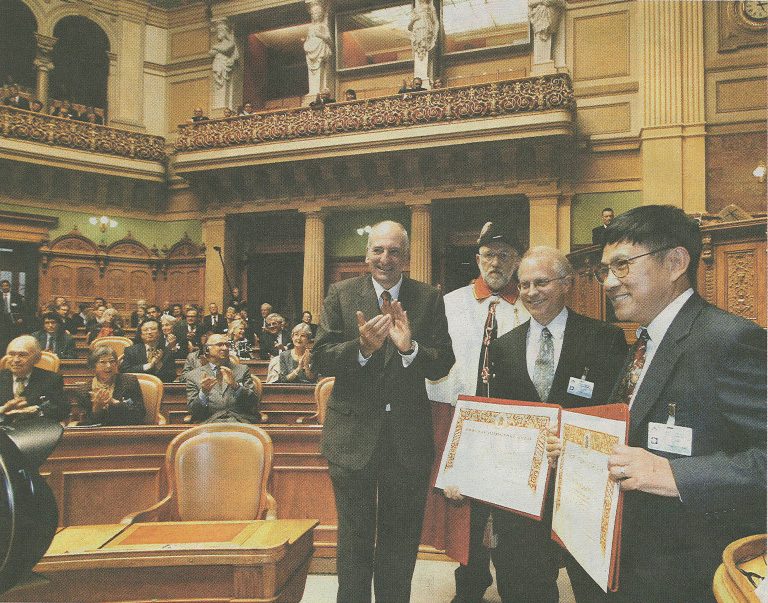 Russell J. Hemley and Ho-Kwang Mao have won the Balzan Prize for 2005 in Mineral Physics. The Balzan Prize is awarded to scientists, artists and institutions for outstanding achievements in humanities, social sciences, physics, mathematics, natural sciences and medicine. The fields in this prize are rotated from year to year as determined by the prize committee. The prizes in science this year were in population biology and mineral physics. The winners must dedicate half of the monetary prize to projects involving young researchers.